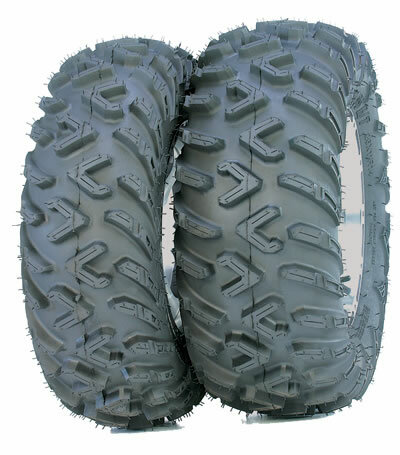 - ITP Terracross ATV tires are sold individually. 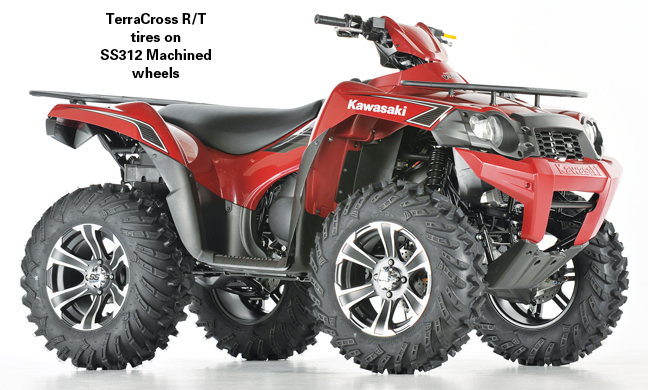 - Our Terra Cross tires generally ship out within 1 business day! 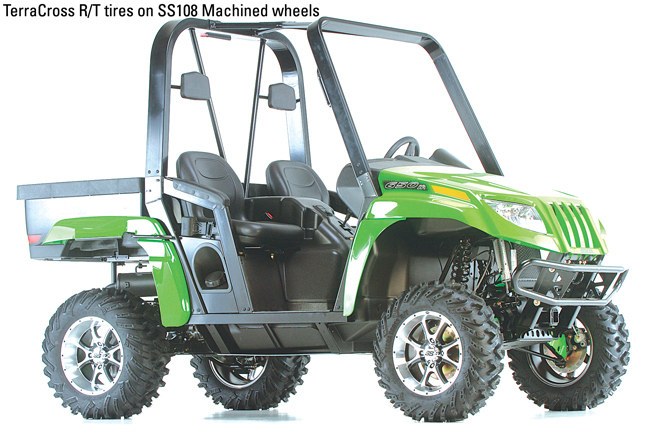 - Specially-designed 26/14 inch sizes make the TerraCross R/T the new standard in utility vehicle trail tires. - Interlocking tread pattern and wide footprint result in exceptional traction and floatation. 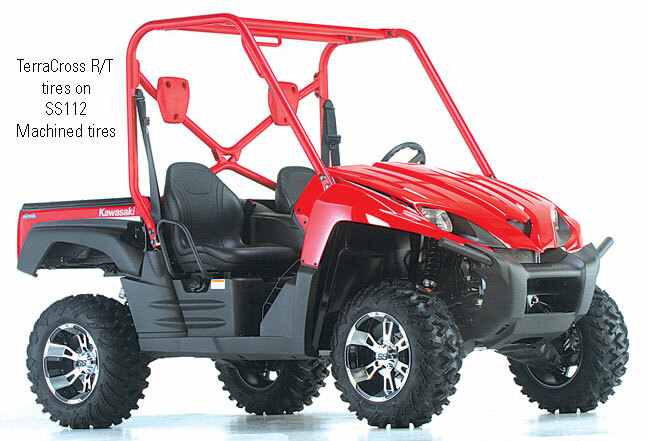 Ideal for mud, snow and sand. - Radial construction offers a much smoother ride and greater overall control, enhancing operator confidence. 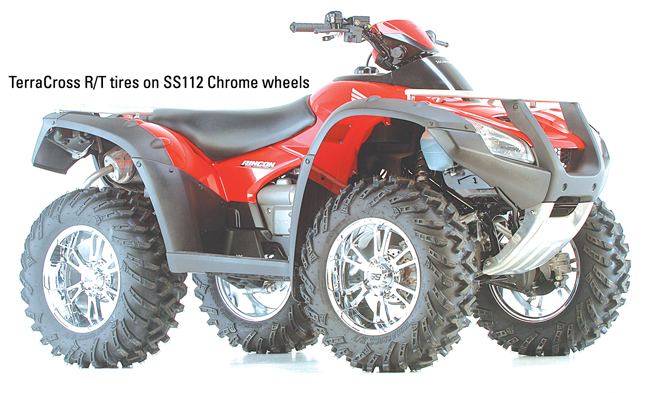 - Surprisingly light in weight, you won't find a lighter 14 inch tire/wheel combo anywhere. - 6 Ply radial construction provides unmatched durability. - Wrap-around shoulder lug for greater sidewall protection and traction. Purchased 4 Terracross R/T XDs (2ea 26x11R-12/26x9R-12). Matched them with the Delta Steel rims. Went a little bigger...replacing the tires/rims that came with my 2013 Honda Foreman Rubicon. Been able to get them out in some deep mud, dirt/dust trails and also had a chance to do some hills. 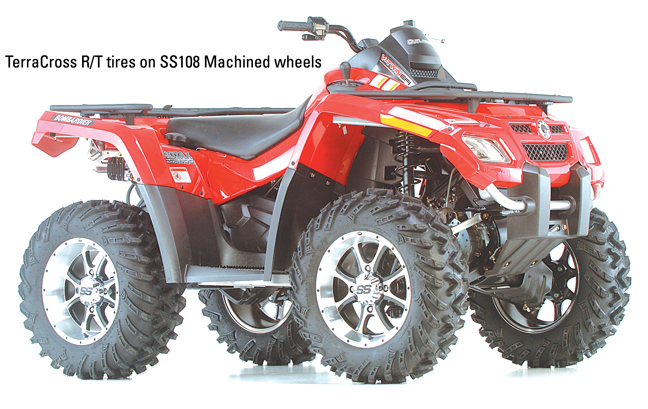 They perform beautifully...no complaints with traction or handling on any terrain. The tires look great with the Delta Steel rims. Researched and got the best price from Pure Offroad. Also, ordered them on a Wednesday and received them following Friday mounted and inflated...all I had to do was put them on the bike and ride. Lighting Fast shipping for sure. Very pleased. Bought these to replace the fronts that were worn out, they handle and track great and no problems with traction in a variety of terrain from forest service roads to loose rocky hills. They work so well on the front, I cant wait to replace the rears with a new set when they need it. Have these on my Arctic Cat 700 TRV, They are awesome on rocky trails. I noticed some vibration/shake above 55 mph on the highway. Will try the Tire Beads to balance them. Q: Are the teracross radials drectional? I believe side wall would probably make them directional so they couldn't be rotated.